This was a fantastic opener for the night. Alencar was the number one seed, in the tournament and unsurprisingly pulled out a win in technical dramatic fashion. 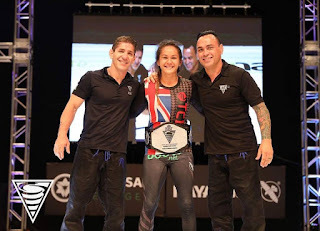 Alencar is a force to be reckoned with and blew through her weight class tournament, after tournament this year! 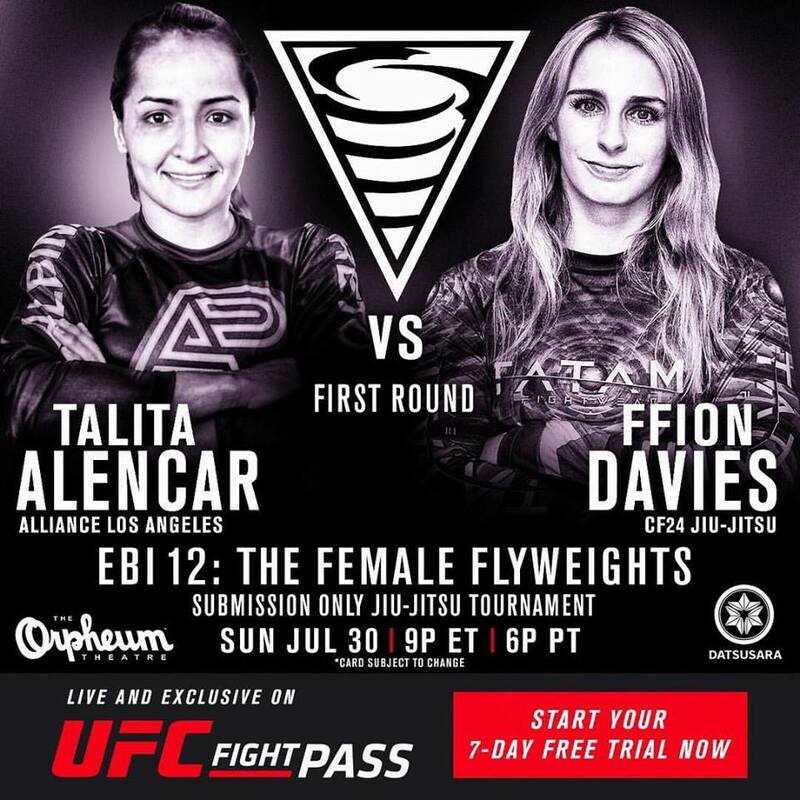 That being said, I was extremely impressed with the heart and skill of Welsh flyweight Ffion Davies. 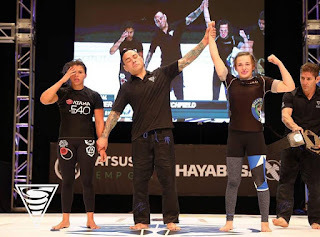 Her style is aggressive and unrelenting and she is definitely going to be a phenomenal black belt. First of all, both of these women are absolute physical specimens. 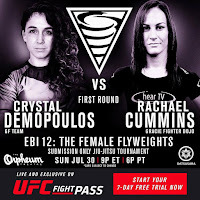 Crystal took the match on late notice and put up a tough fight against MMA fighter Rachael Cummins. 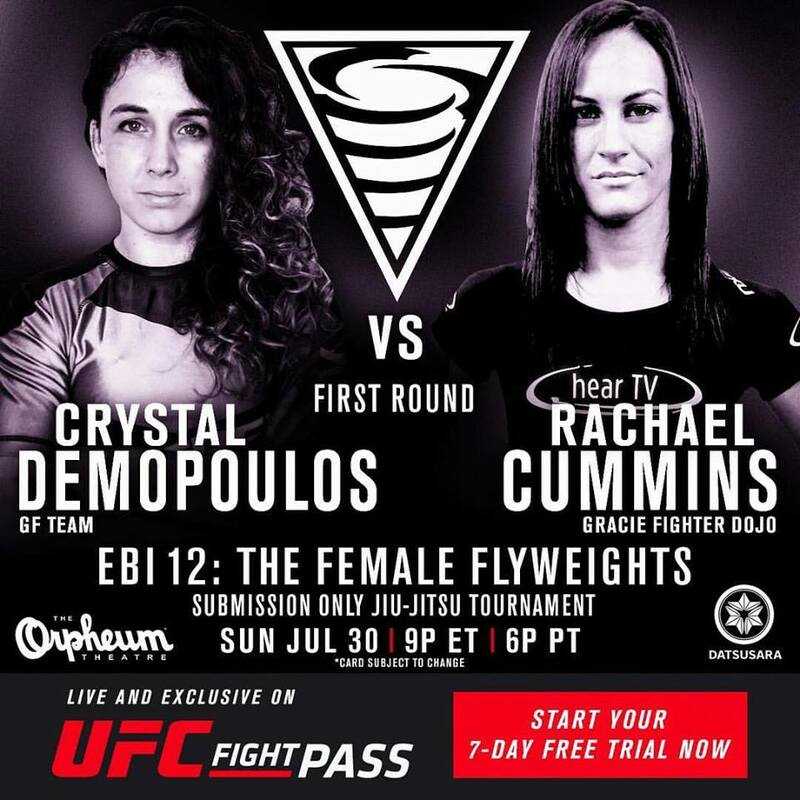 This was an extremely athletic, highly skilled match and an excellent show by Rachael Cummins who ended the bout with a very impressive Dead Orchard. 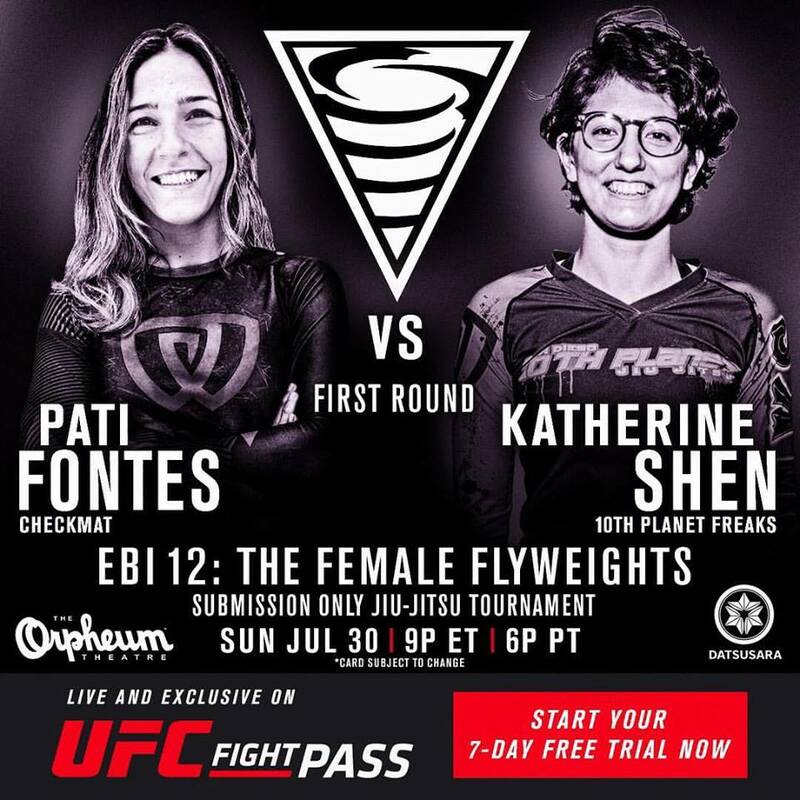 This is one of matches I was most looking forward to as I've heard a lot about 10th planet phenom Katherine Shen and the absolute legend Pati Fontes. From the beginning, this was a fascinating match up. 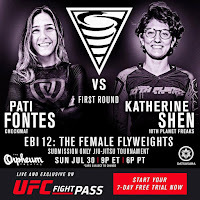 Fontes held position and played a great pressure game the first half of the match with Katherine making an epic comeback and submitting Pati Fontes in overtime. Shen has generated a lot of talk leading up to this match and proved she's worth the hype! 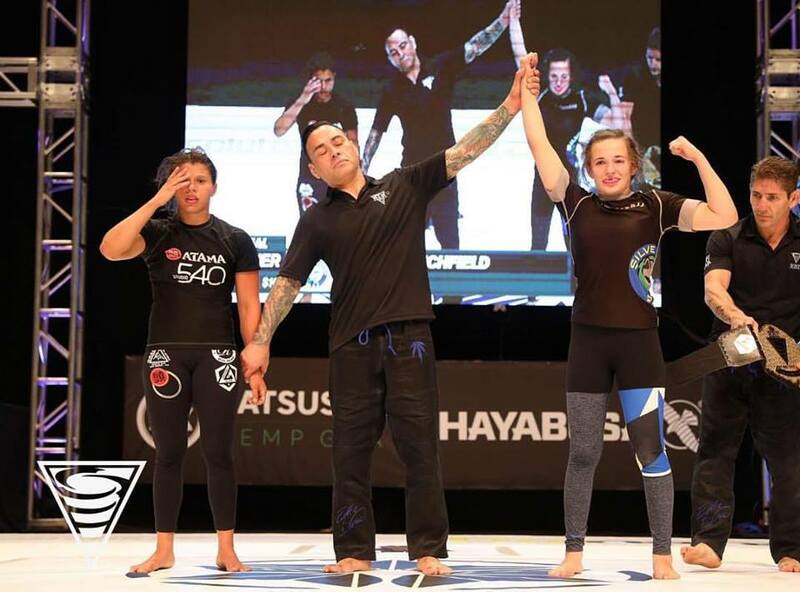 One of the fastest submissions of the night, Lila Smadja defeated Olympia Watts in 23 seconds via guillotine choke. Lila is fast paced, opportunistic and has a strategy from every position. She was one of my favorites to watch over the course of the evening with her meticulous game and quick finishes. McComb (19) and Blanchfield (18) was an amazing match up. 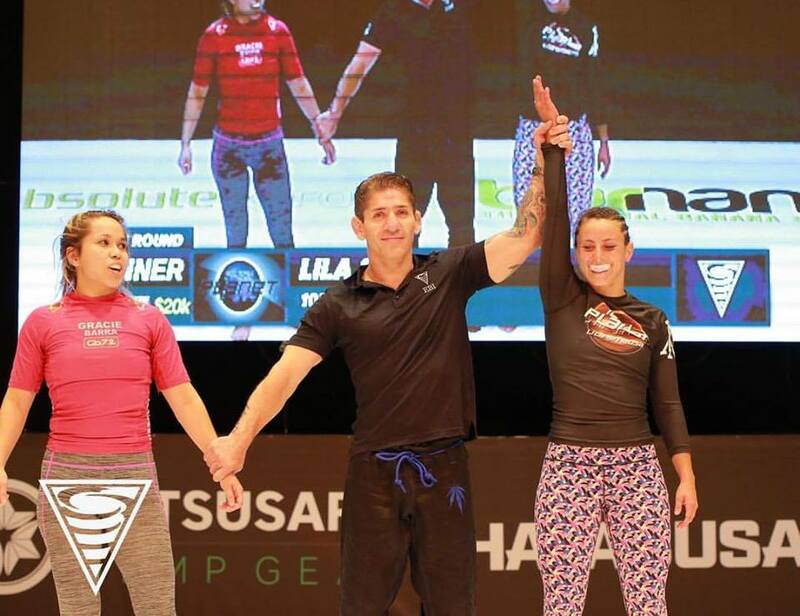 McComb is the student of legendary Leticia Ribeiro and plays a solid, unrelenting game. Blanchfield, herself, attacks from every angle and is consistently going for submissions. This was a hard fought victory for Blanchfield who won in overtime with the fastest submission escape. 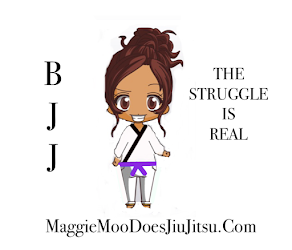 Overall: I must admit, I was skeptical about the combat jiu jitsu but I seriously loved it! 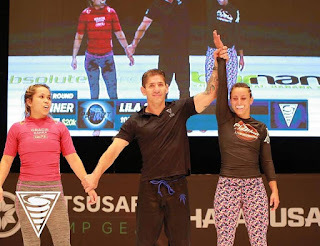 EBI 12 was definitely one of the best tournaments I've seen in a long time! I love women's matches because I find we are always going for the kill and as promised, this tournament did not disappoint. 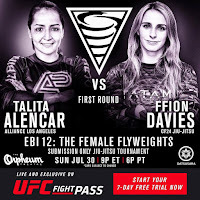 I am so thankful Eddie Bravo put this together, next time I'd love to see some lady heavy weights!